The One & Only Forest is a popular vacation spot for ELVES due to its seclusion and beauty. 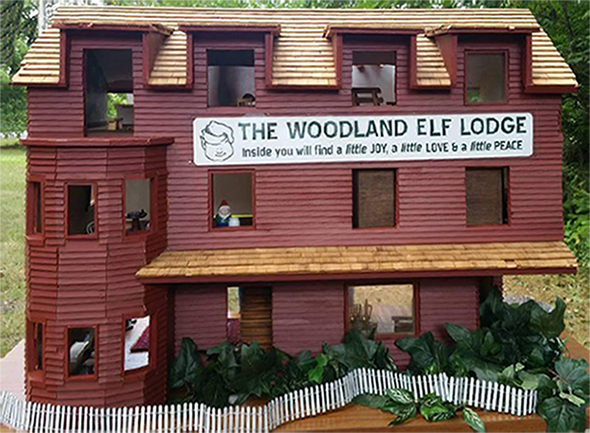 Surrounded by natural beauty on all sides, The Woodland Elf Lodge in Marion, Ohio provides elves with privacy, allowing them to fully enjoy the majestic beauty of nature. The Woodland Elf Lodge Rental Service offers a variety of exquisite rooms in the lodge to give elves their choice of seclusion, amazing views, and convenience. Our Signature Lodge provides elves with a high level of luxury that defies any preconceived notions they might have had about “roughing it” in the forest. No pets are allowed in this family friendly lodge. Feel free to contact one of our travel agents at 1-800-ELF-PLAY.